All said and done, Gene Simmons, Paul Stanley, Tommy Thayer and Eric Singer bring one of the most incredible, bombastic rock shows to the masses as they take their final bows in the “End of the Road World Tour”. 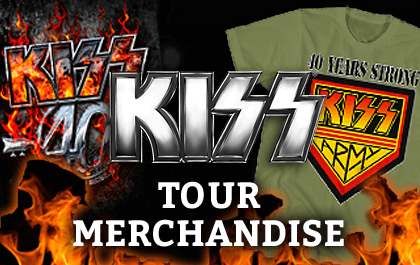 The KISS rock and roll circus is an extravaganza of epic proportions! The biggest pyrotechnics, smoke, amazing lights, zip-lines, risers, KISS balloons, confetti, the latest technology in graphics, blood, dragons and more. The KISS Army was out in full force, t-shirts and makeup to honor their rock heroes! There is no mistaking that you are at a KISS show, it is a world of its own. The diehard fans of KISS have stuck through thick and thin and love their band, Demon (Simmons), Starchild (Stanley), Cat (Singer) and Spaceman (Thayer). There were fans all the way to the top of the arena and they said the sound was great! They just wanted to be there for the spectacle of it all! 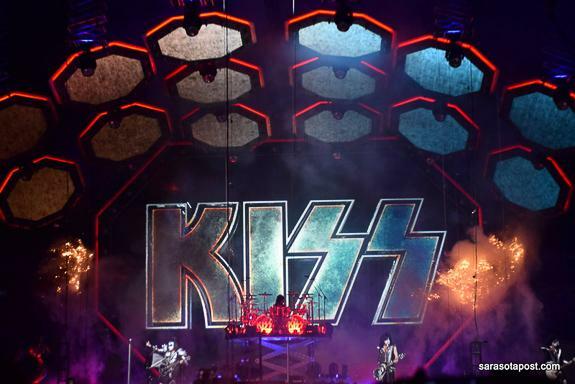 Making a total KISS entrance with “Detroit Rock City”, the band was lowered from the ceiling of the Amalie Arena, with an epic amount of fire and pyro that put the crowd in a total frenzy. Everyone was on their feet as Paul Stanley yelled to “Shout It Out Loud”. The band honored their albums by introducing songs by the album title they were on. 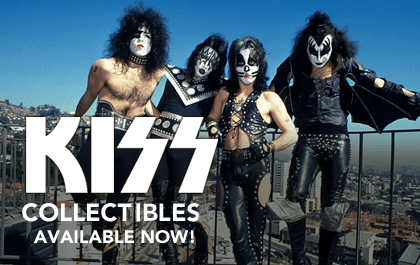 In the world of digital music, KISS still sells an incredible amount of vinyl and there many collectors of their vintage albums. KISS has sold over 100 million records and was named the top American band with 30 gold records, the most in history at this time. Mind-boggling numbers, that doesn’t even cover the massive amounts of memorabilia sold over the years! CLICK HERE to read the rest of the review now!